Alzheimer's disease (AD), the most common age-associated dementing disorder, is clincopathologically manifested by progressive cognitive dysfunction concomitant with the accumulation of senile plaques (SP). SP is consisting of amyloid-ß (Aß) peptides and neurofibrillary tangles (NFTs) of hyper-phosphorylated tau (p-tau) protein aggregates in the brain of affected individuals. Lipid rafts promote interaction of the amyloid precursor protein (APP) with the ß-secretase enzyme responsible for generation of the Aß peptides. Fibrillar Aß oligomers, which have been shown to correlate with the onset and severity of AD, bind preferentially to cells and neurons expressing cellular prion protein (PrPC). The binding of Aß oligomers to cell surface PrPC, as well as their downstream activation of Fyn kinase, was dependent on the integrity of cholesterol-rich lipid rafts. Rafts also regulate cholinergic signaling as well as acetylcholinesterase and Aß interaction. Such major lipid raft components as cholesterol and ganglioside (GM1) have been directly implicated in pathogenesis of the disease. Perturbation of lipid raft integrity can also affect various signaling pathways leading to cellular death and AD. In this review, I will discuss the more recent findings on the biopathological mechanisms, candidate bio-markers, and therapeutic interventions of the elusive AD. Ezrin is a member of the ezrin–radixin–moesin family of proteins. Overexpression of ezrin protein might play an important role in the process of tumor cell invasion and metastasis. Non-melanoma skin cancer (NMSC) is the most common form of cancer seen in population. The term NMSC can theoretically be applied to all cutaneous cancers excluding melanoma. The aim of the study was to evaluate the prognostic value of ezrin expression in basal cell carcinoma (BCC), cutaneous squamous cell carcinoma (SCC), seborrheic keratosis (SK) and keratoacanthoma (KA). This retrospective study included 76 paraffin blocks classified into: group I (20 paraffin blocks of BCC), group II (20 paraffin blocks of SCC), group III (12 paraffin blocks of SK), group IV (14 paraffin blocks of KA) and group V (10 paraffin blocks of normal healthy skin were used as a control group). All were subjected to the ordinary hematoxylin and eosin stain (H&E) and immunohistochemical staining for ezrin. This study revealed a statistically significant difference between ezrin expression in different tumor groups and controls. The expression of ezrin in SCC was higher than in BCC, SK and KA. There was a statistically significant difference of ezrin expression in different tumor groups regarding both membranous and cytoplasmic expression of ezrin. The current study suggested that dysregulation of ezrin may be important in the development of cutaneous epithelial malignancies and tumor grade. Immunohistochemical localization of ezrin may be useful marker in the differentiation between cutaneous SCC and KA. Methotrexate (MTX), a folic acid antagonist agent, is mainly used in treatment of malignant tumors and autoimmune diseases. Vitamin A is essential for normal growth and differentiation of epithelial tissues. 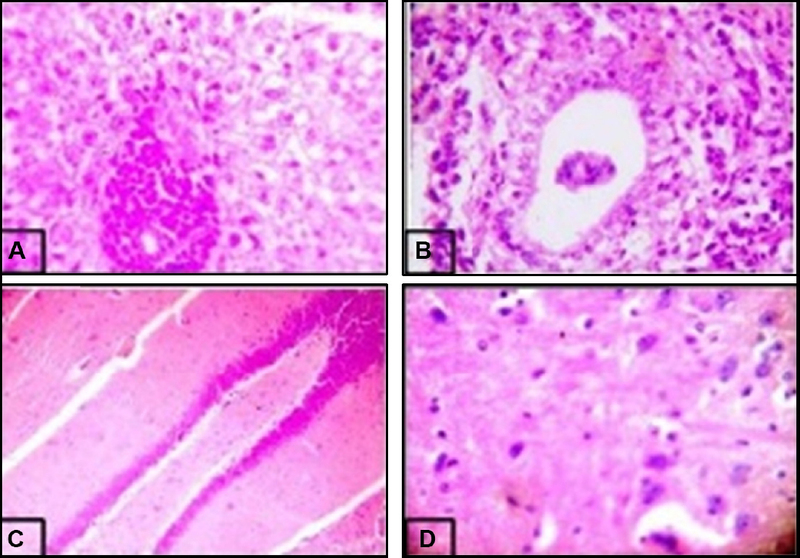 The aim of this study was to evaluate the effect of methotrexate on the histological structure of jejunal mucosa and to assess the possible protective role of vitamin A. Fifty adult male albino rats divided into three groups; a control, vit A and experimental group subdivided into two groups (B and C), experimental group (B) received 4 mg of methotrexate intraperitoneally as a single dose, and experimental group (C) received methotrexate and 1000 IU of vitamin A given three days before MTX administration and continued until the rats were sacrificed. The specimens were prepared for histological, immunohistochemical and ultrastructure examination. Morphometric study was also done and statistical results were analyzed. Light and electron microscopic studies revealed structural alterations in group (B) in the form of disturbance of villus and crypt architecture. Dilatation of RER cisternae, swollen mitochondria with destroyed cristae vacuolation of the cytoplasm and lipid droplets in some cells were observed with widening of the intercellular space. Corrugation and indentation of the nuclear membrane and exfoliation of epithelial cells. PCNA showed a significant decrease in the number of PCNA-positive nuclei in the crypts of group B. Co-administration of vitamin A with methotrexate (group C) ameliorated these histological changes and there was a increase in the number of PCNA positive nuclei in the crypts. 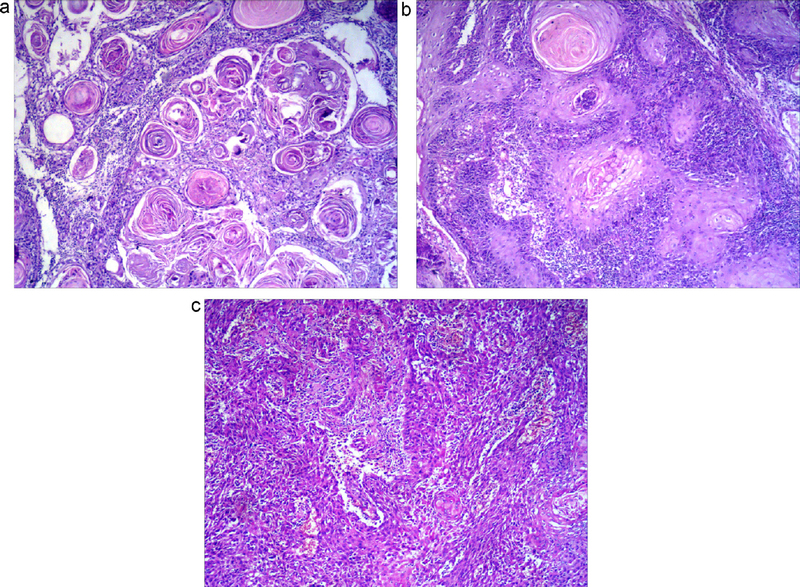 Methotrexate caused mucosal damage improved with vitamin A co-administration. Background: Progression to a chronic state after an initial, mostly asymptomatic, acute phase is the normal fate of Toxoplasma infection in immunocompetent hosts. The interconversion between tachyzoite and bradyzoite life stages is a key to Toxoplasma survival and pathogenesis. Chronic toxoplasmosis is resistant to all commercially available medications. Reactivation of chronic stage has serious complications on immunocompromised hosts including encephalitis and death. Cyclic AMP, TNF-α and Th1 immune response have pivotal roles in establishing chronic disease. Rolipram, a PDE4 inhibitor, has regulatory roles on these factors. This is the first study to investigate a possible modulatory effect of rolipram on Toxoplasma infection in an experimental murine model. The ability, of this novel regimen to prevent or reverse Toxoplasma-induced pathology was evaluated. Materials and methods: Toxoplasma-infected mice received rolipram (10 mg/kg) daily for three weeks. Life expectancy, serum ALT and histopathology of liver and brain were the parameters used to evaluate therapeutic and/or toxic impact of rolipram in comparison with infection and healthy control groups of mice. Results: Toxoplasma-induced pathology was never completely cleared by rolipram. However, a significant impact in aborting chronic state and in mitigating pathology was detected. The drug almost normalized Toxoplasma-induced high ALT levels reversing the hepatotoxic effect of the parasite. Conclusion: This study is the first to demonstrate relative merits of rolipram therapy to toxoplasmosis with illustration of its efficacy and toxicity. It reports a novel approach with potential future benefits using PDE inhibitors to abort resistant latent phases of biologically related infectious agents. The Swiftlet, Aerodramus fuciphagus Thunberg, 1812 (A. fuciphagus) is known for its edible nest building ability. The present study was conducted to examine and describe the morphology of lingual apparatus and associated structures which contribute to the nest building ability of the A. fuciphagus. Gross examination was done on the upper and lower jaw of the beak prior to tissue processing and sectioning. 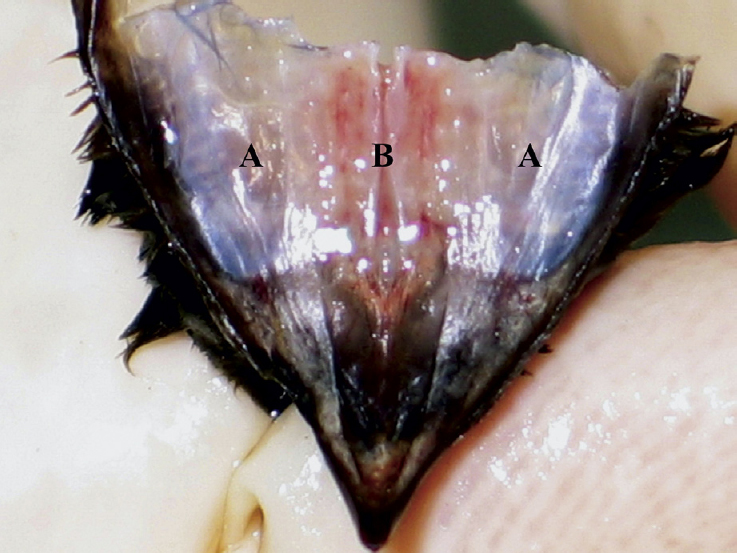 Following fixation and embedding, cross-sections of the lower jaw were made and stained with hematoxylineosin (HE) and observed under the light microscope. Microscopy examination revealed various structures within the lingual apparatus, which include stratified squamous epithelial lining, lingual salivary glands, hyaline cartilage and intrinsic skeletal muscle. Paired sublingual salivary glands were also observed. Taken together, these findings may provide some new insights in understanding the role of the lingual apparatus and the salivary glands of the Swiftlet (A. fuciphagus) especially in its unique nest building ability. Based on their morphological and physiological features, red algae comprise a complex and variable group of multiple genera, including Hypnea. In particular, the genus Hypnea J.V. Lamouroux (Cystocloniaceae, Rhodophyta) consists of approximately 54 species, including Hypnea cervicornis and H. musciformis. Lectins were described for both species; however, the localization of these proteins is still unclear. 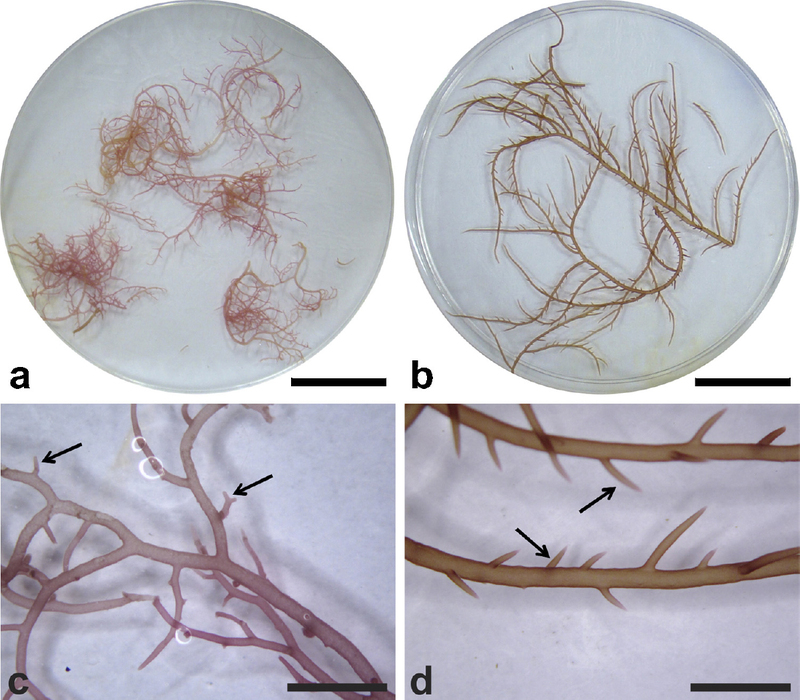 Therefore, this work aimed to characterize the morphology and ultrastructure of Hypnea cervicornis and H. musciformis, as well as localize their lectins at the subcellular level. Samples were collected at Praia do Pacheco (Fortaleza-CE) and processed for light, scanning and transmission electron microscopy, in addition to immunocytochemistry. The studied species presented cortical cell layers, subcortical cells and medullary cells. Based on ultrastructural analysis, these species presented vacuolated cortical cells, with a dense cytoplasm containing chloroplasts. The cell wall consisted of concentric microfibrils embedded in an amorphous matrix. Immunochemistry analysis showed the expression of lectins in the cytoplasm and cell walls. While the structure of the studied algae was similar to the description of other species of the genera under different conditions, this is the first record of algae lectin localization. In order to study the microstructure along the thickness direction of polylactide acid/C60 (PLA/C60) composite film, the sucrose solution was frozen to embed the PLA/C60 composite film at -70°C, and the distribution state of C60 in PLA matrix was observed successfully in the obtained ultrathin sections cryomicrotomed along the thickness direction of the embedded film in the frozen sucrose solution bulk by transmission electron microscope (TEM). Compared with the traditional chemical embedding methods of polymer film using resins such as epoxy and polyester, the newly developed method to embed the PLA/C60 composite film physically with frozen sucrose solution was simple, convenient, efficient, and health friendly.